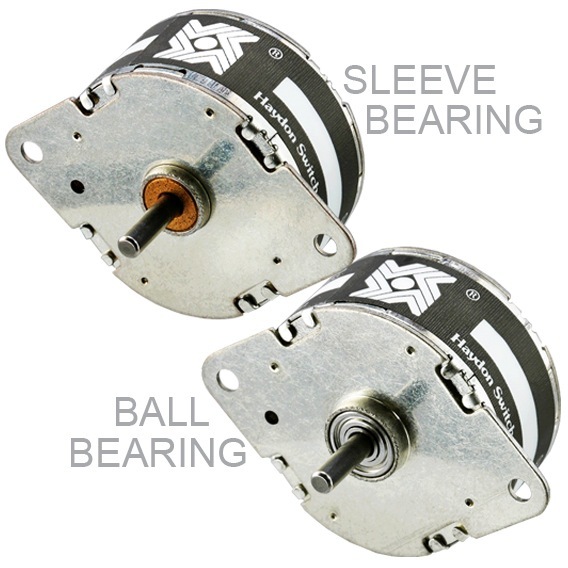 Stepping motors can also be run on AC (Alternating Current). However, one phase must be energized through a properly selected capacitor. In this case the motor is limited to only one synchronous speed. For instance, if 60 hertz is being supplied, there are 120 reversals or alterations of the power source. The phase being energized by a capacitor is also producing the same number of alterations at an offset time sequence. The motor is really being energized at the equivalent of 240 steps per second.